Team building can be challenging under the best of circumstances. When you’re new to the job—for example, if you’ve just been promoted into the team leader role—it can be especially daunting. After all, how are you supposed to build unity among people you barely know, and haven’t yet had much chance to gel? Well, I’ve got a few tips for you—a few tried-and-true approaches for new leaders looking to build stronger teams! Be clear about goals and expectations. A good starting point? Rally the team behind a sense of purpose. Get everyone together and present them with a statement of mission—something you’ll all work toward together. Let them know how you will define success. Take an inventory. Spend some time getting to know the different roles on the team—who’s doing what to help you reach your common goal. You may ultimately decide to push people into new or expanded roles, but you can only do that once you get the lay of the land. Foster creative thinking. As you approach new challenges or hurdles, don’t feel like you have to tackle them yourself. Get the members of your team to brainstorm solutions with you—something that fosters unity and also forces them to think creatively. Assess the aspirations of your team members. 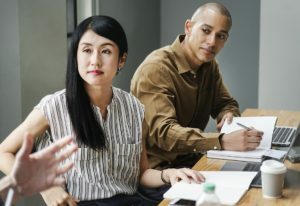 Pay attention for team members who seem like they’re angling for bigger and better roles; aspirational employees tend to be the ones you can count on to help you lead the team and preserve morale. Acknowledge achievements. Everyone likes to be praised for a job well done, so make sure you develop the habit of highlighting the good work people do—always giving pats on the back when they are called for! With these five steps, you can start building a stronger team from day one. Want to talk more about team building or our team building training program? Give me a shout! 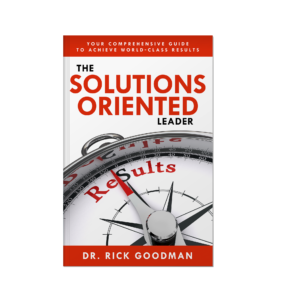 You can connect with me at www.rickgoodman.com or call 888-267-6098.